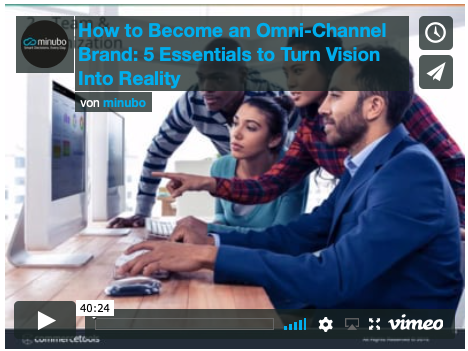 5 Tips in our Expert Webinar With commercetools – Watch The Recording! Which resources are needed for the implementation? How can retailers successively turn their current IT setup into an omni-channel-ready eco-system? What are the common pitfalls and how can they be avoided? Hier könnte noch ein ergänzender inhaltlicher Teaser zum Medium stehen – muss aber auch nicht.